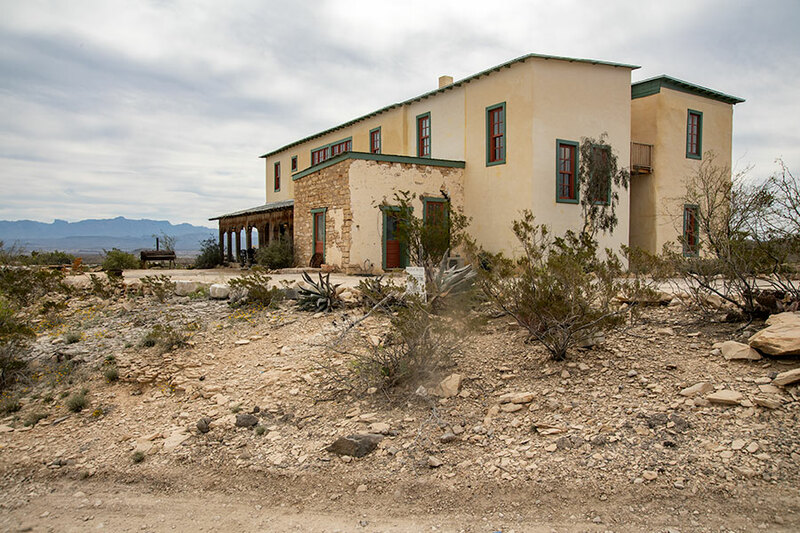 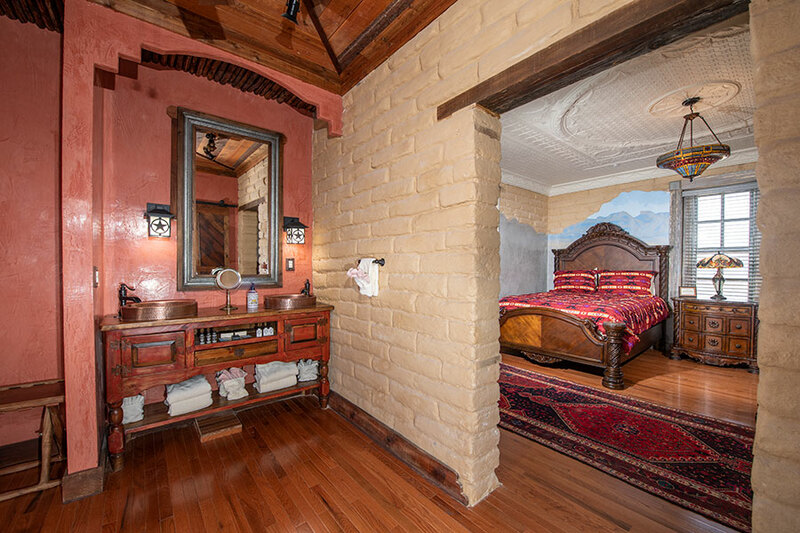 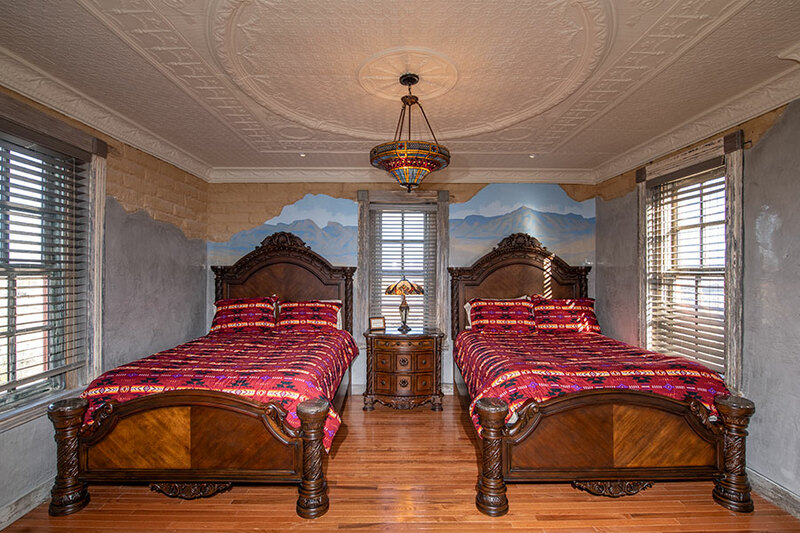 This is truly the master suite, overlooking all the Chisos Mining Company property, as a master would require. 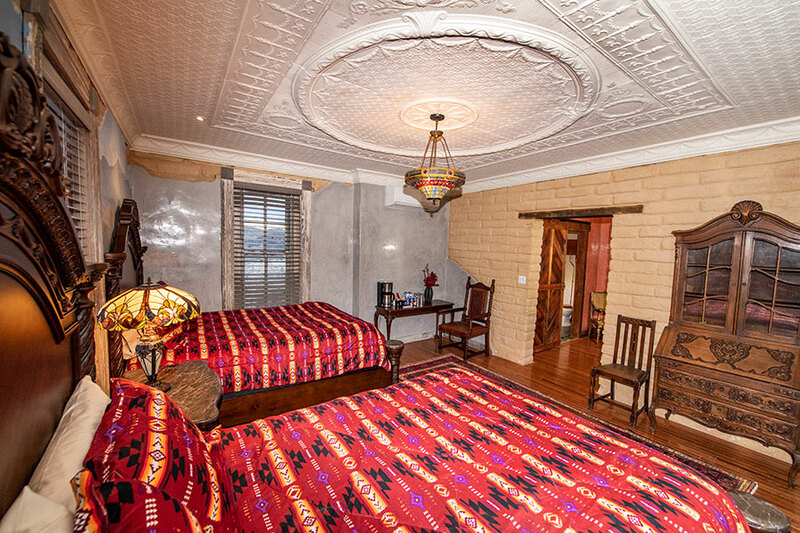 With two queen-sized beds, Tiffany lamps, and a feeling of both intimacy and spaciousness, this suite opens directly onto The Great Room. 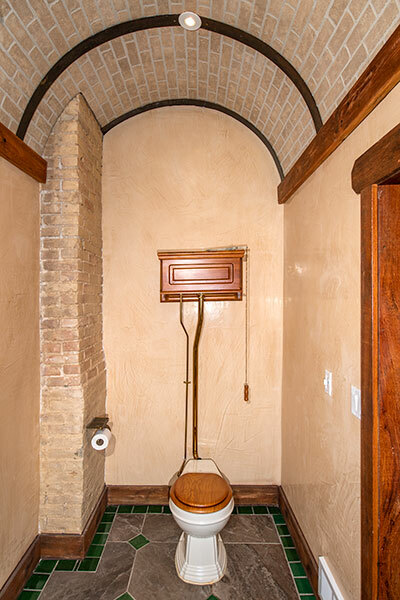 The Master Bath starts with a large anteroom for grooming and dressing. 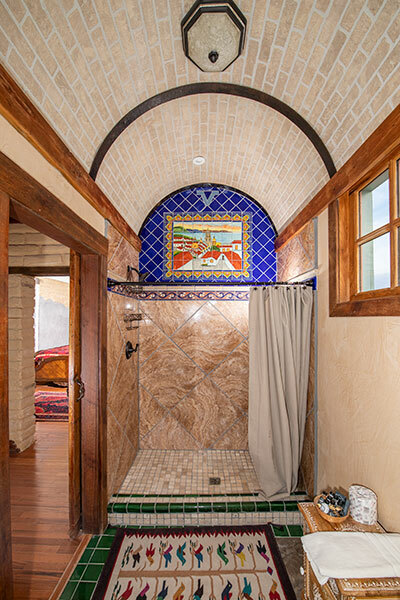 A separate room with a vaulted ceiling opens onto the majestic tiled mosaic shower and an old-timey pull-chain toilet.